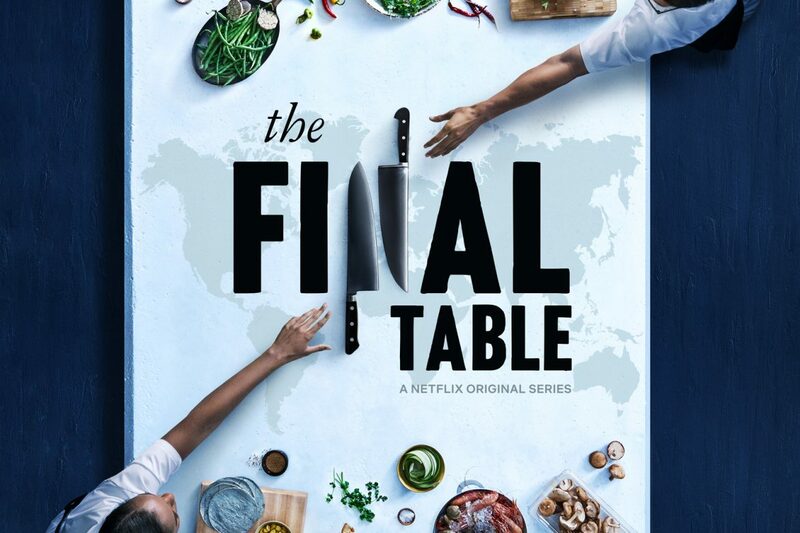 With The Final Table there’s finally a programme that brings top chefs from around the globe to compete and cook for the leading chefs in the world. It’s the sort of competition that’s been begged for. Making it into a reality TV show though, well that could go horribly wrong. And so it was that I started watching with trepidation. The competition is quite simple really, teams of two chefs – some pairs have known each other for years and others introduced by the competition – compete to get to the next episode. Each episode focuses on the cuisine of a different country – Mexico, India, Japan, Britain, France and so on. The first round sees all remaining pairs cook their take on a traditional dish of that country (tacos, full English etc.) that has been chosen by three judges – two celebrities and a food writer all from that country. Why we need these two celebrity judges I do not know, it weakens the whole idea that this is a competition for and by the best chefs in the world. The bottom three pairs after the first round have to cook in the second round to stay in the competition. It is this second round that it really the best part of the show. Not because it has tension, but because in this round one of the worlds most renowned chefs who hales from that country chooses a humble ingredient for them to make a dish with and then judges it. It is here that the creativity and the skill of the chefs competing comes to the fore, and we get to see and hear from ground breaking chefs that really know there stuff. Sadly, moments of beautiful food imagery like that found in Chef’s Table give way to a format that’s inescapably a US reality competition. Think Masterchef crossed with American Idol. For this is no Masterchef The Professionals. The chefs involved are all at least a level up and the scale of the production is a whole other world. It’s big, bombastic and devoid of nuance. A skinny, constantly white toothed smiling, slightly shouty host in the shape of Andrew Knowlton (restaurant editor of Bon Appetite) try’s to add seriousness but shambolically fails most the time; he asks banal questions of the competing chefs. This is all set against the backdrop of the dramatic lighting, music, and sound effects that are big and brash to hammer home the tension and severity of what is going on. And then there are the three large moving LCD screen walls that must use enough energy to power a Welsh village. Oh and we can’t forget the live audience – so pointless, they are just there for two shots per episode and to add a few cheers and rounds of applause here and there. It must have been one hell of a boring experience to watch the filming. And this is the problem with the show. Instead of creating nail biting tension that makes you sit on the edge of the sofa rooting for one team over another, the format gets in the way and undermines what could have been a tour de force of a cooking show. The chefs talk of the bond and journey they have been on with the competition, and how it has opened their eyes to new ingredients and techniques. But while there are glimpses of this, it doesn’t really come across in the editing, the noise of the format just gets in the way. I have a feeling that binging it also impacts on this. Maybe it would have been better to release it week by week? Most important though are the chefs. You may not find yourself backing one team in particular, but you’ll quickly have your favorite teams, and each for a different reason. The bonds between them are clear as the competition goes on. Each has their unique approach and style of food, and road they have traveled to reach the level they are at. The chefs are a true cross section of culinary world, the way it works and the connections and international experiences that it offers. The lack of knowledge about some styles and ingredients, even as common as octopus, is surprising, but that doesn’t really matter. The quality of the food scene in Britain and London is represented by Graham Campbell, Collin Brown, and James Knappett, three highly acclaimed chefs with very different styles, while many others competing have come and cooked in London at the start of their careers or found their initial success in the city before moving on, just as with Ash Heeger, Alex Haupt and Shane Osborn who was head chef at Michelin stared Pied a Terre. The Final Table is a natural step for Netflix as they look to expand their offering of blockbuster hits and add more everyday and reality programming. But sadly it will probably do little for those not so interested in food or the industry. It doesn’t build enough anticipation or the desire to cheer for one team to keep you hooked and coming back if you’re just not that bothered by food or those competing. This all said, it is one for the foodies. The quality of the chefs and their creativity is just about enough to overshadow announces of the format, and especially the host. I can’t wait for series 2. 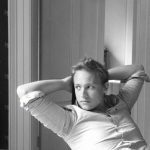 Joss is the Editor of London Lamppost, with a special interest in food, drink and Travel. He's also one of those rare creatures that was born and raised in London.